Flipside U #20 - Fusion Confusion! And we're back with another awesome Flipside U comic called "Fusion Confusion!" 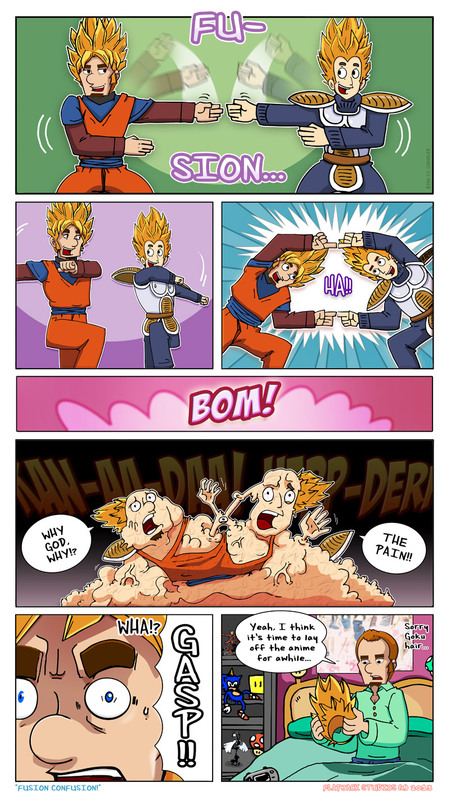 This is the final Dragon Ball Z series of gags, but not to worry, there will be loads more DBZ parodies in the future, and other fun stuff too. I hope you enjoy the heck outta this, and remember, please share and like us whenever you can.